Can you believe that it's practically mid-June already? Summer starts next week and I've been busy planning a series of summer projects. 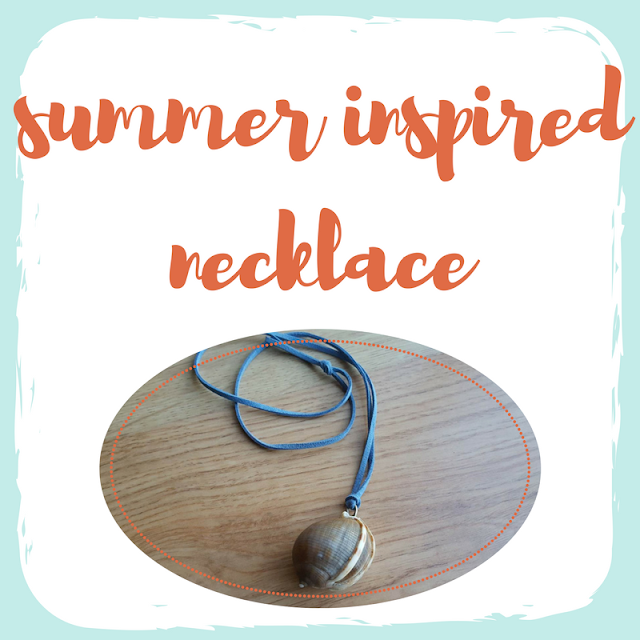 Recently, I finished my new summer necklace. Ever since we collected this sea snail shell on the beach last year I've been meaning to do something with it. 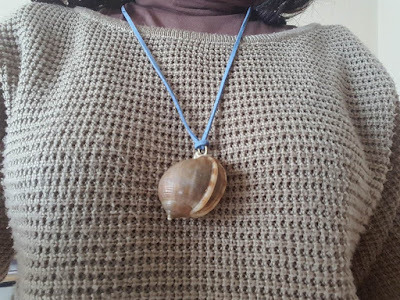 I finally decided on a necklace. 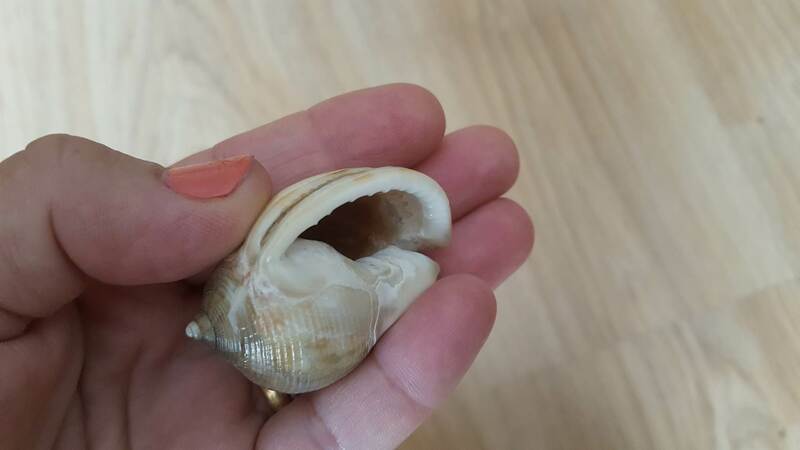 I took advantage of the natural indent at the top of the shell to insert a small metal ring and then super-glued it in place. Once dry, I inserted a thin blue leather strap through the hoop. 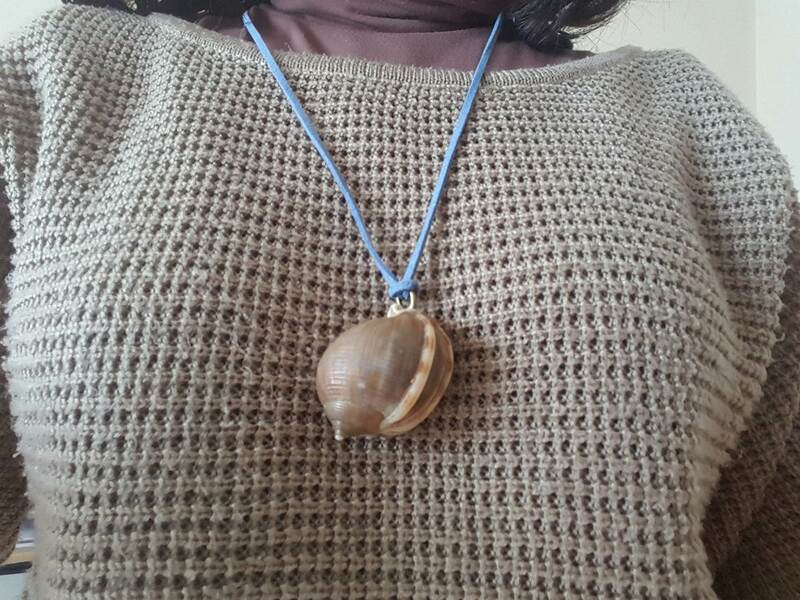 I debated adding a proper clasp, but then decided to keep it as simple and natural as possible and just tied a knot. Overall, I'm pretty happy with the result. 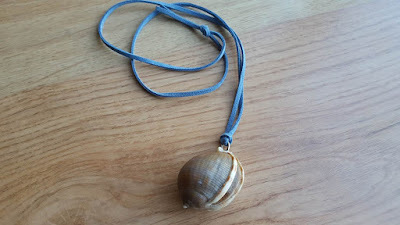 Other than creating occasional bead necklaces for my daughter and her friends, this is the first "grown up" necklace I actually made for myself. 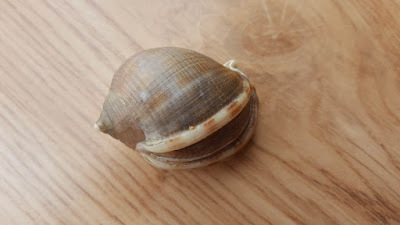 Now I want to create one with a seashell too, but I'm unsure whether to use super-glue again or actually trying to drill a hole in the shell. Any suggestions? What a creative idea! Thanks for sharing at Sew It Cook It Craft It!